The Projekt Lazarus ensemble held on September 30th, 2018 in the 3rd cycle of classical music named Lux musicae a concert performed at beautiful church of the Holy Trinity in Krašić, presenting two great Croatian early baroque composers – Ivan Lukačić and Vinko Jelić. 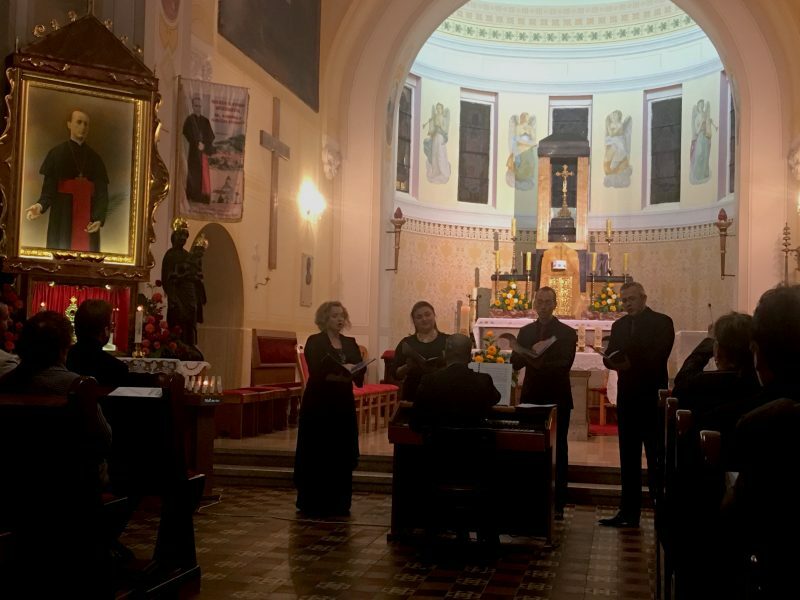 The dominant part of the program were the motets from the Sacrae cantiones collection, because of marking the 370th anniversary of the death of Ivan Lukačić this year, and the songs from the Parnassia militia collection of Vinko Jelić came as an excellent closure of the program. The organizers of this concert are the Croatian Music Center, TZ of Krašić municipality, Krašić Municipality and the Parish of the Holy Trinity in Krašić. The main sponsor is the Zagreb County. The Croatian Music Centre's (Hrvatski glazbeni centar – HGC) aim is the encouragement, development and advancement of the educational, professional, artistic and social interests of musical and theatrical artists and promoting their artistic and cultural activity in Croatia and abroad.